Emotional Support Snake | ESA Co.
We have recently written articles on some of the animals that you can look forward to having as your Emotional Support Animal. Most of these animals include the extremely common domestic pets that you are pretty accustomed to, such as dogs, cats, birds, and even pigs. These animals are usually well-received and well-tempered, which make it perfect for you to have as your companion. 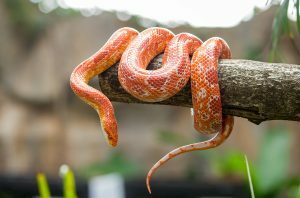 There is another animal that is a common domestic pet that may have a bad reputation for itself, but would provide an excellent companion as your emotional support animal: snakes! One of the major factors for people who do not believe in the use of emotional support animals recognize that the animals often make a scene. Well, with snakes, that is not the case. Whether in public or in private, a snake does not make much noise, if they make any noise at all. Snakes are relatively quiet creatures and they love to confine themselves to familiar spaces, so you do not have to worry about snakes jumping off your body in a public place. As stated before, snakes like their surroundings, so they are pretty easy to care for. Most snakes are confined to glass enclosures which is perfectly suitable provided that the space matched the snake. If you create a place where the snake is comfortable, which includes maintaining the correct temperature for the animal. If we look at similar domestic animals, getting a bigger enclosure for our snake is actually a lot smaller than the setting needed for your dog or cat, which demand room to roam. For reference, an 8 foot boa constrictor can live quite comfortable in a cage measuring 30 cubic feet, which is no bigger than a sofa (not saying that an 8 foot boa is the norm). Unlike other household animals, such as dogs and cats, snakes do not produce dander since they are hypoallergenic animals. Snakes are covered in scales rather than soft skin; they do not slough off dander. No dander, no allergies. So it is safe to bring snakes around people and let other touch and play with them without having to worry about causing somebody to cough or sneeze. Most snakes only really need to be fed once a week. Sometimes baby snakes could be fed more often since they will grow at a quicker rate. But most experts believe that feeding a snake weekly is a perfect amount. This means that you do not have to go out and buy a bunch of mice at a time which ultimately saves you money as well as time. Snakes love to squeeze. Sometimes, when you are feeling down, all you need is a small embrace. Snakes are ready to provide you comfort with the constrictions. Domesticated snakes are friendly and willing to be at your side at all times. Having a snake might be the perfect animal to have around when you need comfort and support. 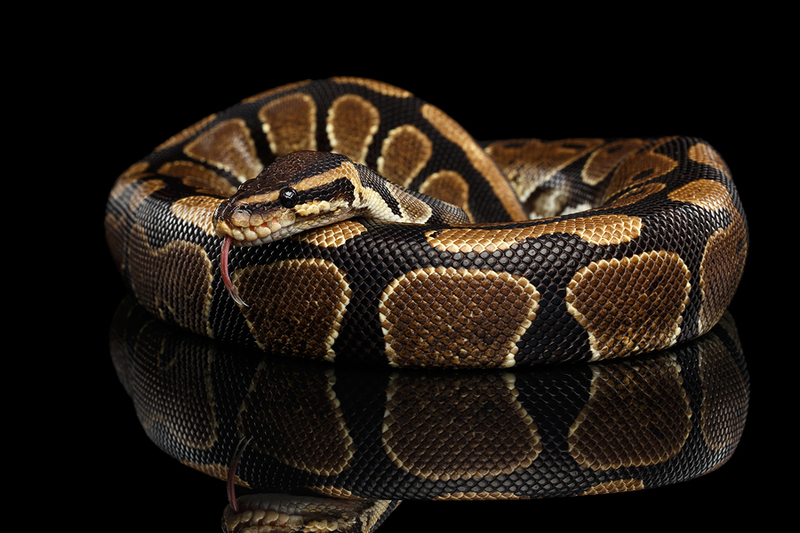 Although they get a bad reputation, snakes make prime candidates for emotional support animals. If you are looking for an ESA and want a companion that is friendly, slick, and charming, look no further than a snake. If you have any questions regarding Emotional Support Animals, feel free to contact us.